India represents the most extraordinary possibilities as a market – with over one billion consumers and a huge number of fast growing businesses. Although the rate of growth has recently slowed, India’s economy has expanded by more than 8% per annum for much of the past decade and the forecasts are still strong. At the same time, in the developed world, growth has slowed to a trickle, setting India on a trajectory to overtake the US and become the 2nd largest economy in the world by 2050 (on a PPP adjusted basis). India thus cannot be ignored when formulating a global strategy. Yet, doing business in India poses unique challenges: 70% of India’s population is spread across over half a million villages and individual incomes are low. There are 22 official languages, political complexities and numerous regulatory and cultural barriers. So, how does an outsider tap the potential of this vast new market? How can a non-Indian business learn the rules of this intricate game? 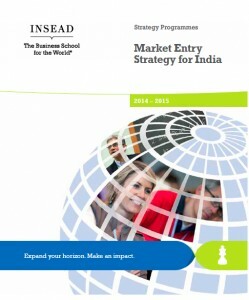 INSEAD is offering a unique 6-day programme, Market Entry Strategy for India, to help you do just that. With its long experience in Asia, it is the only premier business school with a permanent campus on the continent. 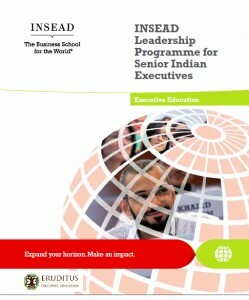 INSEAD faculty members have developed a unique research-based perspective on strategy for India and other emerging markets. Only INSEAD can offer a programme of this kind – combining world-class teaching with experiential knowledge gained through a field visit to India. As the last decade has shown, India’s long term growth prospects remain strong. While this rapid growth is a huge opportunity for Indian firms, it also presents many challenges. One key challenge is the relative dearth of skilled general managers who can provide the strong business leadership required to capitalize on growth opportunities. 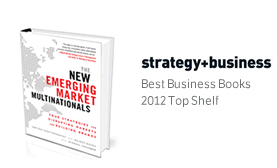 Enhance the depth and breadth of fundamental business knowledge. More specifically, an in-depth understanding of individual functional domains as well as the linkages across functional domains that are critical to drive business performance. Acquire and improve interpersonal skills such as networking, persuasion & influence, communication, negotiation and coaching skills that are essential for effective business leadership. Heightened self-awareness of emotions, personal and business values and blind spots that together lead to development of your own idiosyncratic leadership style and ability to leverage it effectively for business success.